Dallas and Nashville-based artist development company BE Music & Entertainment has announced its new management team. The company recently opened its Nashville office. BE Music & Entertainment Pres. 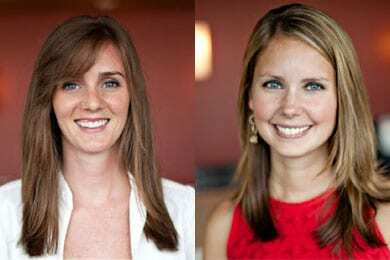 Michael Blanton has named Chelsea Drimmel as Artist Development Manager for the Nashville office and Elisabeth Jordan as Artist Development Manager for the company’s Dallas office. Both will be responsible for overseeing all operations in their respective offices. BE is headed by Blanton with Carl Kornmeyer, and is a subsidiary of Dallas-based London Broadcasting Company headed by Terry London. Artist managers David McCollum, James Hodgin, and Chris DeTray and Assoc. Artist Manager Jami Crockett also join the BE team following a merger with Dryve Artist Management. The merger includes artists Dave Barnes (whose song “God Gave Me You” is Blake Shelton’s new single), Dove Award winner Chris August, Jackopierce, Cary Pierce, Manafest, Derek Webb, Shawn McDonald, Nathan Angelo, Slugs & Bugs, Stephen Gause, Bryan Brown, Downhere, All Sons & Daughters and Andrew Ripp. “In a music business where rules are being rewritten and ingenuity is the necessary status quo, we relish the opportunity of this new partnership. The BE Music creative vision of the future, experienced leadership, and fairness model align perfectly with our team and we couldn’t be more excited,” says McCollum. The company has also announced a relationship with Nashville production team Sorted Noise, which specializes in artist branding and TV/film production and licensing. BE is also building audio/video production space in the Terrazzo development in the Gulch with offices, writing rooms, performance space and more. For general inquiries about BE, contact info@BEMusicEntertainment.com.